I made a thank you card today for my mother-in-law who blessed me greatly over the last two days. I used a painting technique involving calligraphy ink and watercolor paints, having learned of it in a book called Pinterest Perfect, by Jamielyn Nye and Flora Chang. 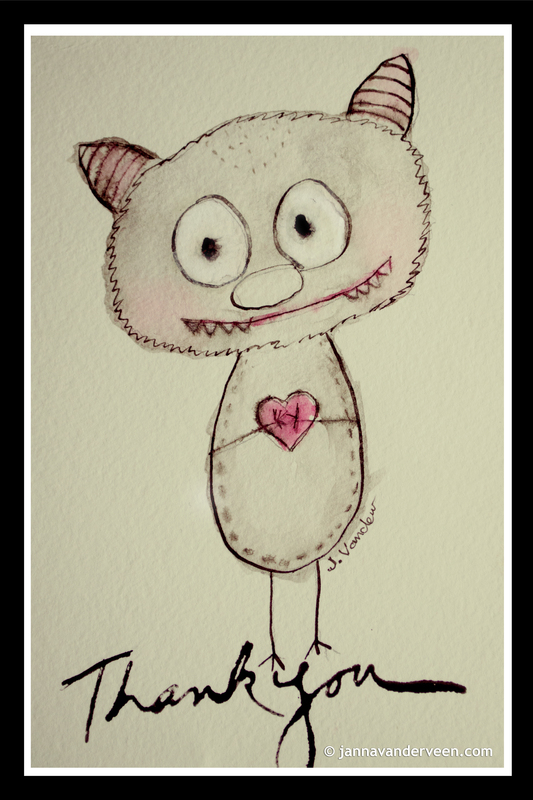 This cute little watercolor monster is holding out her heart to share.